A giddy group of tech journalists nervously shift their weight, fidgeting some. Zac Moseley, owner of Classic Car Club Manhattan (CCC), is giving his “how-to-not-wreck-our-supercars” speech. 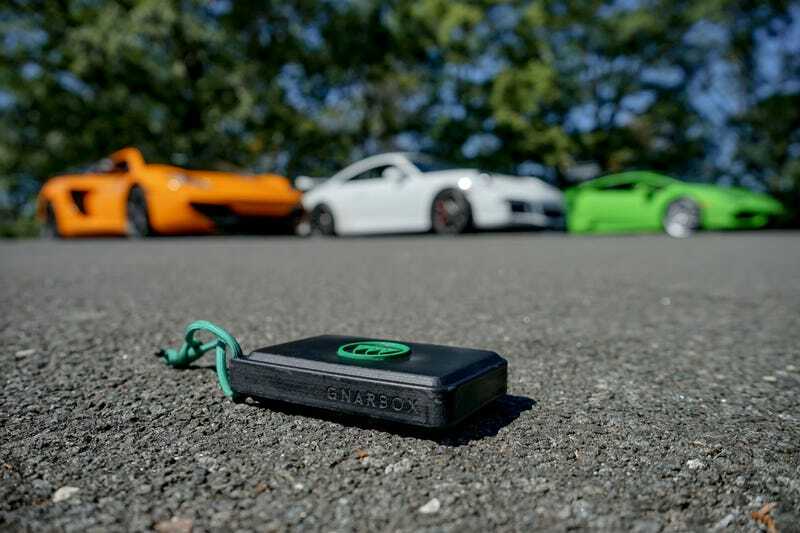 We’re about to set off on a drive with four exceptional vehicles to test a small plastic box that aims to unlock the full potential of your GoPro or DSLR camera. Meet the Gnarbox. Having grown up in the glory days of RadioShack and Sky Mall, I’m a sucker for a good gadget. Problem is, most new gadgets these days are already on their way to obsolescence. The Gnarbox actually provides a platform unlike any other on the market, something the iPhone attempts, but falls flat on its face in executing: When presented with large, high quality image and video, iPhones are either be unable to transmit the footage, or simply unable to store it in the first place because of the sheer size of HD video files (think gigabytes, in multiples).